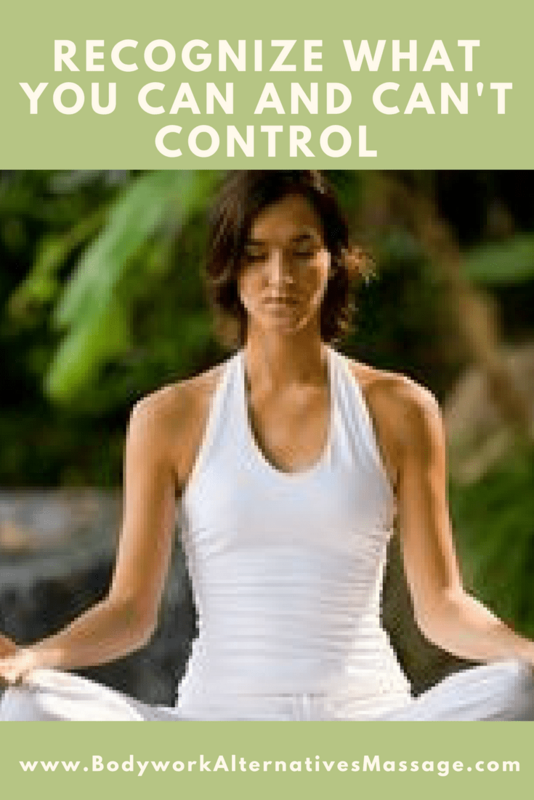 We’ve identified Control Is The Solution For Stress Management. However, it’s just as important to recognize what you can’t control. Sometimes there are things that are simply outside of our control. Have you ever tried to control other family members? Whether it’s trying to control their messy habits or their life decisions? It just leaves you drained and frustrated doesn’t it? This also can create quite a bit of stress in our lives. How do we handle these situations? Both of these have the same message. You should only burden yourself with the things that are your business or that you can control. The rest of the time you are creating stress for yourself that isn’t logical. You have no control, you can’t change it, it’s not your business, etc. Learn to let these things go and you’ll reduce your stress. In the previous blog post, you thought about recent events that triggered stress. Eliminate the things that are truly out of your control. The only thing you can control in these situations is your reaction to them. You can lend a listening ear, you can offer sympathy and support, however don’t carry the burden of trying to fix everything for everyone else. You may be thinking, but how am I to develop a control plan for the entire family if I can’t control them? Of course, there are some ways to control the family if your children are younger you can set rules and instruct your children to follow them. Then there are older children, husbands, and other family, friends, church demands on your schedule. How do you control that? You can start by sharing your new plans with the family and encourage them to help with ideas and provide input. However, they may not want to box themselves in to a new way of doing things. The only way you can control is to control yourself. You can lead by example and you can be true to your needs. Initially when you are building the control plans you will need to be somewhat flexible and test out what works for you and your family and what doesn’t. However, you will also need to stay strong to your new management and systems. Over time, you may be able to influence others in your lives to follow along. For example, if you set aside a certain time in the week for your exercise and stick to it maybe other family members or friends will join you or will adjust their schedule around the time you’ve scheduled. Or the new systems you put in place to be more organized they may notice the difference and start to pick up some of those habits as well. Next, we’ll start to build your Schedule Control Plan.